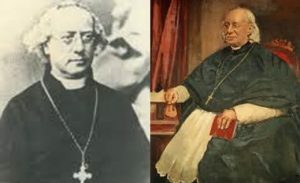 Why Did Fr Julian Woods Found the Josephites? 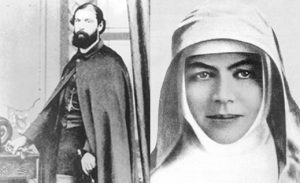 In the year 1866 Father Julian Woods, aided by Mary MacKillop, founded the Sisters of Saint Joseph in Penola, South Australia, for the Catholic Education of children from poor families. But why did this busy priest working in one of the largest mission areas in the colony take this step? Secondly, in Australia, where Catholics were in a minority, the bishops were afraid that children attending government schools could be lost to the church because they had gained the impression that one religion was as good as another. Consequently, the bishops pressured the clergy to provide separate schools for the catholic children. At about the same time, Father Patrick Geoghegan of Melbourne became second Bishop of Adelaide. Coming as he did from a colony where gold was being mined in significant quantities, where there were many fine buildings and where its sizeable Catholic population enjoyed the benefits of a well-established, government-supported Catholic school system, he was shocked at the poverty of his congregation, the smallness of their churches and the lack of catholic schools in the colony. First—Because they [were] proselytising schools in the hands of the Government. Secondly—Because in [their] poverty and sad want of schools of [their] own, they [were] bribes and temptations held out to [their] children. When Julian Woods of Penola received this letter he tried, albeit unsuccessfully, to get properly trained teachers for his area. Then he recalled the memory of the Sisters of St Joseph whom he had met in France and decided that he needed Sisters like them to manage his schools. Eventually, it became clear to him that the only real solution for his problem was for him to found a new religious order there in Penola. Thus, it is clear that Father Woods founded the Congregation in response to his bishop’s command. 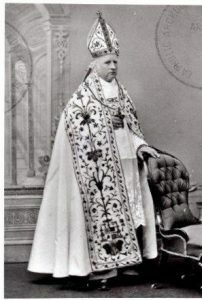 In fact, while Bishop Geoghegan laid the groundwork for the foundation, it was his successor, Bishop Lawrence Sheil, who confirmed the idea when he appointed Woods as Director of Catholic Education for South Australia and subsequently approved the Sisters of Saint Joseph as a diocesan congregation in 1868. End of Institute as expressed in the Sisters’ first Rule of Life, as written by Julian. He entitled it: Rules of the Institute of St Joseph for the Catholic Education of Poor Children. According to his Memoirs, he wrote this in May 1867. Bishop Sheil approved it in December 1868 & he had it printed by a local printer. Patrick & Deirdre O’Farrell, Documents in Australian Catholic History, Volume 1: 1788-1884, Chapman, London, 1969, “Pastoral Letter of John Bede Polding on the subject of Public Education, 1859” p. 209.